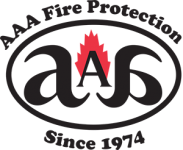 AAA Fire Protection Services provides grease exhaust hood cleaning for commercial kitchens in Oakland and throughout the Bay Area. We are a family-owned business and offer 40 years of experience to every client with whom we work. Our comprehensive set of commercial kitchen services includes restaurant hood fire systems, restaurant exhaust cleaning, and a grease filter exchange service that exceed the expectations of UL300. Our services are exact and affordable. We understand that grease exhaust cleaning is one of the most important features in commercial kitchen fire prevention. Coupled with quality kitchen hood systems with quality exhaust hood filters and regular grease exhaust cleaning, a commercial kitchen can significantly reduce the risk of fire. Our grease filter exchange service replaces old filters that allow grease into the kitchen's hood ductwork. We use baffle style grease hood filters with 18-gauge galvanized UL listed ratings. As industry experts in fire suppression and fire protection, we partner with commercial kitchens to reduce the risk of fire, increase kitchen cleanliness, and to always help our clients maintain compliance with UL300. For more information about working with us, our comprehensive set of services, or for personalized quote, just give us a call at (800) 543-5556.